NOTICE: A & P no longer offers Lessons in Advanced Perception by Harold S. Schroeppel. Instead, A Course in Mind Power is currently being recommended. Lessons in Advanced Perception by Harold S. Schroeppel was originally taught at the Institute for Advanced Perception in Illinois back in the 1960's. His program contained almost sixteen lessons and 2 extra lessons that if applied would start enhancing a student's perceptual capabilities. Harold S. Schroeppel never discussed the science of or where the principles in the "Effort" exercise came from and never gave credit to Edmund Jacobson, M.D. as far as I have been able to find. Dr. Jacobson may be the creator of modern day anxiety relieving procedures, which all started with this Progressive Muscle Relaxation (PMR) exercises. Lessons in Advanced Perception was the 1st program to apply Dr. Jacobson's PRM anxiety relieving procedures for the purposes of specifically increasing intuitive abilities by clearing the tensions out in the muscles to ensure that the subconscious reflex carried to the muscles is clearer. A Course in Mind Power by Aaron Murakami will be the only training course offered anywhere that fully explores the science, background and implications behind Jacobson's work relating to being used specifially for enhancing one's perceptual abilities. This is only one little part of A Training course in Mind Energy. Lock the door, take the phone off the hook, grab your favorite drink and pay attention to every word I say! If there ever was a Super Human school to train you in developing and unleashing your dormant super powers, this is it. What a lot of people run in to these days is that there is so much information online and off, factual or not, about mind power and psychic development, that it can make one's head spin. I'm mostly referring to all these psychic courses and mind power or mindset development courses, which are all basically nothing more than just repackaging Charles F. Hannel's Master Key System, Wallace D. Wattles' The Science of Getting Rich, Napoleon Hill's Think & Grow Rich, or similar. Those three books/courses cover virtually everything you can find from any modern day "guru." That doesn't mean it is bad, it just means that people haven't been paying attention to what they are reading over and over. And how many psychic courses have teachers that have been witnessed by others doing anything out of the ordinary? I created this course out of the need to simplify the complex. I'm giving you what WORKS and am not just giving you a bunch of recompiled info. You will see that what I share is very much experiential and that I am not simply putting a twist on information that everyone has already read. The closet thing I could compare my course to would be to mix Tesla with Haanel - imagine manifestation meets free energy. I honestly believe A Course in Mind Power is in a class by itself as is The Quantum Key. You will get to vibe with some of my first hand experiences - witnessing, being the subject of and even personally demonstrating what some would call super human powers. My psychic abilities have grown all my life as well as having other abilities that I've demonstrated over the years to my close friends. I am putting my EXPERIENCE into this course so you're learning from someone that has been there. I'm not just talking about psychic abilities, you might be more than a little surprised. Do you want to spend thousands of dollars just to get bits and pieces of what you're going to learn in A Course in Mind Power? You're not going to find anything in one package like what I'm offering that will empower you the way that it will - and has for others. I have helped others with various parts of the powerful methods in this course but this is the first time I've ever put it all together in one simple package that anyone can follow. What The Quantum Key did for free energy understanding for the average person, A Course in Mind Power will do for mind power. You'll actually have something real that works if you just follow the instructions along with an understanding of the mind in a way that just makes everything so simple to comprehend and APPLY! Well, at least I've been told that something I'm good at is that I am able to take complex things and transform them into very simple things that are very easy for most people to understand. I think if you read some of the testimonials way down at the very bottom, you'll see that I'm being real with you. These are different from the testimonials in the middle of this page. What I'm passing on to you in regards to this ability as it relates to developing your own mind power in multiple arenas is that you receive something that makes sense, is simple, it relates to the world around you and not only do you know you 'could' do it, you actually start to notice and realize all kinds of changes within a very short period of time! You will learn to develop your own natural abilities and that is the main point to A Course in Mind Power. And there is a LOT MORE that comes along with it! It is important to understand that one of the secrets to developing mind power is to enhance the energy network in your body that transmits Qi, the life force energy. Simply, this allows not only more to flow but you will be able to increase the capacitance (how much your body is holding) of the Qi. Chinese call it Qi, Japanese call it Ki, Indians call it Prana, Christians call it Breath of Life and so on. If I were to refer to the same potential or energy depending on how it is used in a free energy circuit, I would say it is the aether. It is all the same thing. It all comes from God and is responsible for every bit of life and thought that we have. As a quick note - You will NOT have to do a bunch of tiring exericses day in and day out as if you were living in a monestary - I'm keeping it SIMPLE - SIMPLE - SIMPLE! I have known some of the most powerful Qigong Masters in the world. I equate "powerful" with actually being able to demonstrate super human abilities as well as being able to trigger "miraculous" healing in others. My longtime mentor was Rodger Q. Estes and he was the first non-Chinese person to be certified as an authentic Qigong Master by the Chinese Qigong Delegation in Beijing. I was his protégé so it is my honor to pass on some of what I learned from him and also what I learned from a few other masters that came to stay at his house. You will learn from me some VERY SIMPLE things that will allow you to increase the energy flow in the body in a safe and effective way. These are things that literally will increase the amount of spiritual light that your body receives, transmits and stores. The following pictures were taken of my fingertips with a Kirlian camera at the World Qigong Congress in San Francisco in 1999. The BEFORE picture, you can see many breaks in the energy field around my fingertips. The AFTER pictures is after about one-minute of me POWERING UP. You can clearly see that the energy field is rock solid. I performed this demonstration to some very high level qigong masters that were at the congress. You will learn exactly what I did to get these results. I'll give you access to some free tools that you can use as much as you want that will help to gradually increase the connection between your subconscious mind, your conscious mind and the collective unconscious (matrix). There is no other mind power course in the world offering this because quite simply, A Course in Mind Power is unlike anything available. You'll learn a few of these keypoints and more!!! The mind is not the brain and the brain is not the mind! The thermodynamics of consciousness - this has never been taught to my knowledge. This is the physics of abundance that is only available in A Course in Mind Power. How to have super synchronicity power - beyond simple law of attraction. In-Tension - the hidden meaning of Intension that nobody is talking about - and how to master it. 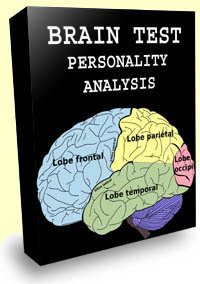 Psychic Neurology - Our psychic abilites are hardwired into our nervous system - learn to use it to your advantage! A special effect that is the foundation of every psychic divination method - and you will learn to identify it and make it stronger and utilize it to tell you information about people, places or things in the past, present or future. Adjust and polish your L.E.N.S. The Automatic Movements - Called THE MOST PROFOUND by a Shaolin Grand Master! They're so simple a child could do them. Stimulate the acceleration of your genetic evolution in the only successful way that has been used for thousands of years. Towards the end of the course, I do share a few things that are considered very dangerous by some very powerful masters. 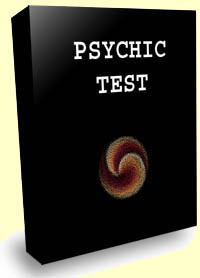 You are not required to do them in order to experience a powerful increase in your psychic ability. They are included because you have a right to know and there are no "mind power gurus" that are telling you about it, but I think you should know the truth. I share some controversial experiences that I have had as well as an experience that Rodger had. Much of what is included in these experiences can challenge many people's belief systems - so beware - it isn't for the faint hearted. There's more, but I'll leave that for anyone that is committed enough to learn what has been left out of a lot of "mind power" and other teachings! Some of these testimonials are about me, some are about the course, and some are about just ONE SINGLE PART that I shared with others in the past. He Charged The Battery With His Hands! "I had a clock that was sitting in a box for several years because the battery was dead and I mean really dead! Every hour the traffic lights on the clock would light up and a sound would blast that sounded like the car revving up. It was quite a bit for any AA battery to hold up to. Aaron took the battery that couldn't even get the second hand to tick and put it between his hands. He went into a deep concentration for about 10 minutes and put the battery back in the clock and it started ticking right away! He said he recharged it with QI. I turned the minute hand until it was exactly on the hour and the lights lit up and the car engine started revving up! I couldn't believe it! I was in the process of packing up to move over to the Seattle area to manage a store. Two years later, the battery was STILL in perfect shape and the clock kept time to the minute and that is AFTER it was already dead for a couple years! Another time, Aaron, myself and some other friends were waiting around for another friend to show up. Just off the cuff, Aaron said, "James will knock on the door in x minutes and x seconds." I don't remember the exact minutes and seconds but it was within a 5 minute time period. We were counting down and on the EXACT minute and second that Aaron predicted, our friend James knocked on the door! Aaron had done these spontaneous demonstrations off and on over the years that I've known him and I've known him for about 15 years." Aaron, You are blowing my mind. "Aaron and I went to high school on an Air Force base over in Japan. After high school, he was living in Ohio and I went to stay with him soon after that to go to college where he was going. After a year, I went back to Japan. He was always interested in supernatural stuff so I wasn't too surprised when I got a phone call from him while I was back over there. Aaron told me about some dream about two Russian Migs that collided in mid-air. 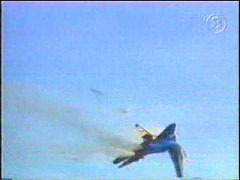 Both pilots ejected and the pilots parachuted safely to the ground. He was very concerned because he said he knew it represented something real but didn't know where or when. After a couple days, he started thinking that it represented something else because he called me back. We were all car racing freaks and when he calle dme back, he asked if anyone got in a head on collision in a car but made it out safely - the dream symbolically representing this. This is what he thought it might mean. Actually, YES, a friend ours had a younger brother that crashed head on into another car on the back flightline going around the base and both drivers were OK.
Aaron was so relieved that nobody was hurt and was convinced this was what the dream must have meant. 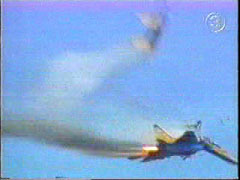 Several days later on 24 July 1993 in the UK, the news reported that two Russian Mig 29's crashed into each other in mid-air at an airshow at Fairford, England. 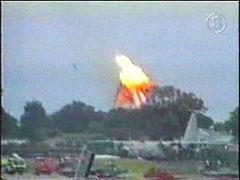 The pilots ejected and parachuted safely to the ground. Soon after, maybe days or weeks, Aaron called me again. This time explaining another airplane crash dream. He was kind of shook up from the last one and wanted to see if this had some connection to a real event that happened here again. In this dream, Aaron said he was standing at the edge of a lake and there were trees around the far side. A commercial airliner was coming over the trees straight towards him. It got lower to the water, a wing tipped down and hit the water, the plane then crashed in the water and he said he felt everyone was killed. I told him that nothing like that happened with anyone we know in a car or otherwise. A couple days later, he called me because another news report came out on the TV about a plane crash in China. There was no video showing like the Mig crash that Aaron said it was like they video taped his mind - but the story talked about an airliner that took off from a runway in China. As it went over the lake, it had engine failure in one of the wings, the wing tipped down and hit the water and the plane crashed killing everyone on board. There was another dream he had right after this that pointed to something that happened again. It wasn't about air plane crashes so he was more relieved. I don't recall all the details but it had to do with a dinosaur egg in a river or something and a few days later, dinosaur eggs in a riverbed were unearthed somewhere in China by the masses. "Since I met Aaron in early 2007, my life has become a series of delightful synchronicities and applying the wisdom he has gifted me with has enhanced my life in more ways than I can describe. After being introduced to his Synchronicity Diagram and the explanation of how it works, I began to consciously apply the concepts and was immediately blown away. I make my living as an artist and at the time, my conscious desire was to attract clients to commission me for a portrait. On two different occasions, I brought an example portrait to my dealer to put on display. On both of these synchronistic occasions, a potential client, looking for an artist to paint a portrait of their children, was PRESENT when I entered the gallery with my example portrait and when looking to the example, commissioned me to create the portraits at a price which was perfect. Needless to say, these events alone caused me to seek even more of Aaron's wisdom, so I was motivated to practice one very simple exercise that Aaron shares in A Course in Mind Power in order to enhance my intuition. This practice has deeply enhanced my ability gain great insight, not only with my artistic creativity, but also in knowing exactly the right decisions to make in a plethora of different situations. One of my most recent favorites has been practicing this simple exercise with the intention of finding new direction in my art. It astonished me as to how quickly the perfect inspiration popped into my mind and am now joyfully creating a whole new collection of paintings that my clients are responding to with great enthusiasm! These examples are just a few of the many positive results I have experienced by consciously applying the wellspring of brilliant information I have learned from Aaron. I am so very pleased to see that he has now compiled his wisdom in his new book, A Course In Mind Power. This book offers each and every reader the opportunity to discover how powerful they are and applying the techniques he describes will most definitely change their lives profoundly. Knowing Aaron and learning from him has been one of my greatest blessings and I highly recommend his books to all!" "Your book is great - it's quite incredible information!! It's very well organized and written in an easy to follow and understand format. Your book has opened some doors for me that I never knew existed." 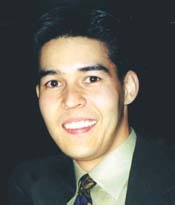 "I have known Aaron for quite a while and have been present during many interesting experiences. When Aaron feels that there is something important that I need to know about, whether he knows the details of what it is or not, he definitely lets me know to pay attention. My business is being an owner of a cafeteria company for the local power company and a local Boeing plant. I was approached with the opportunity to create a healthy meal program for a local school for young children. It would be quite a chore simply designing the menu that would fit into the mission of the program. Aaron was about to head to Seattle for a health conference and said I should go along. I thought it would be a fun trip meeting supplement manufacturers and getting a lot of things to sample and the chance to learn at the classes going on throughout the day. One night we stayed the night at one of Aaron's friend's houses. His friend's fiancé Eleanor was there and she happened to be in the food business. She was a gourmet chef AND it turns out she has all the menus and program developed for a healthy meal program for children at a school about the size of the one I needed to design it for. She was willing to hand everything over to me on a silver platter, which would have put me months ahead of schedule! Absolutely incredible! What are the chances of this??? I remember yelling out when driving around with Aaron, "What is going on?!" I was so dumbfounded at what a profound and specific synchronicity. Aaron kept telling me I was going to experience a serious synchronicity during the trip. And the thing is, Aaron did NOT know I was even considering the children's healthy meal program until I started talking to Eleanor and it came up. Unfortunately, I passed up the offer to do this program in my town so couldn't make use of what Eleanor was willing to provide. When I turned it down, Aaron made sure to let me know what the Universe was handing me and to not ever forget it. Needless to say, when Aaron hints or alludes to something anymore, I take action because he is always right on the money." "A great diagram -- thanks so much for sharing that, would be nice to be able to hang that somewhere in the home!!! : ))"
"Wow! I am only on page 2 and everything so far resonates sooo with my feelings and thoughts on this. I have actually been trying to explain exactly this but lacking the words and scientific knowledge. I will get back to this after the holidays and read the many many pages but wanted to put my appreciation in here first. Love you! Really do! - Hugs"
I appreciate your genius so very much but I desire to know of your humanness. You are helping so many of us. I want to know you better. It never ceases to amaze me how after reading every new posting of yours I am more Grateful than the last!!!! I always need to take deep breaths while reading your posts! 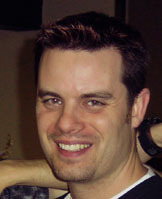 Aaron has Vibrated us up into the Stratosphere! - Love and Gratitude"
A Course in Mind Power! This is what you need to get on the right track to start developing your natural psychic abilities and other things I will only discuss in the course! The mind is not the brain and the brain is not the mind. The thermodynamics of consciousness - this has never been taught to my knowledge. How to have super synchronicity power. In-Tension - the hidden meaning of Intension that nobody is talking about. Psychic Neurology - Our psychic abilities are hardwired into our nervous system. A special effect that is the foundation of every psychic divination method - and you will learn to identify it and make it stronger. The Automatic Movements - Called THE MOST PROFOUND by a 5th generation Shaolin Grand Master! Stimulate the acceleration of your genetic evolution. 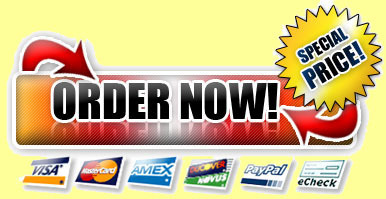 INSTANT DOWNLOAD COURSE RETAIL PRICE: $97 DISCOUNTED! You will be given unlimited access to three different tools using advanced technology rooted in quantum physics. By using these, you will be automatically boosting your subconscious reception to information in the collective (matrix). This is a new soundtrack that I produced and it has never before been available. It is exclusive to this package. Join the number one online community of the most advanced thinkers in the world. There are over 70,000 registered members. There are less valuable sites charging up to $30 a month or more just to participate! 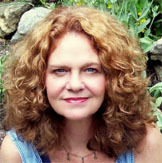 This program allows you to test your intuition in a quick and fun way! This is a self assessment test designed to show you what things affect you and your learning process. You will learn if you are more audio or visual dominant (or balanced) and you'll see if you are more left or right brained. 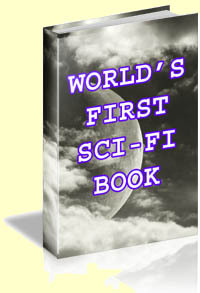 The author of this book discusses robots and super human powers over 100 years ago! Napoleon Hill's classic that set a standard for positive thinking and then some. 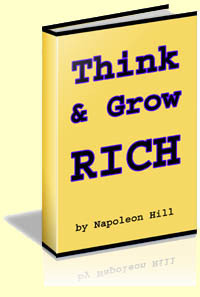 No mind power library is complete without a copy of Think & Grow Rich! 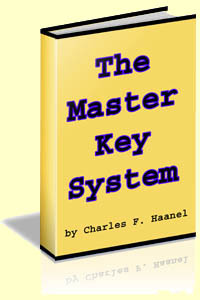 Written by my great grandfather's business associate, Charles F. Haanel's Master Key System was the real inspiration behind Think & Grow Rich by Napoleon Hill! YOU WILL HAVE UNLIMITED ACCESS TO ANY FUTURE UPDATES TO THE BOOK AS WELL AS ANY UPDATES TO THE OTHER MATERIAL INCLUDING EXTRA BONUSES THAT MAY BE ADDED TO THE DOWNLOAD PAGE AT ANY TIME. YOU GET ALL OF THIS! Get your hands on a copy of A Course in Mind Power right now. Then get comfortable and take some time to read through it. Take a look at each of the lessons and see for yourself if this isn't one of the most simple and innovative books on this subject you have ever seen in your entire life. And don't rush. You have a full two months to read through and internalize the info and then decide. If after 60 days, A Course in Mind Power hasn't proven its value as well as giving you a realization of other profound concepts and universal principles... or if you're unsatisfied for any reason at all! Simply write me an e-mail saying so and I'll return your small investment ASAP. Take that as my promise to you. You have 60 days to check out A Course in Mind Powerto see if you too can begin experiencing a profoundly transformed way of seeing the world through the eyes of a psychic -- risk free! The Advanced Course will only be offered to those that keep A Course in Mind Power after 60 days. All others will be permanately disqualified from ever having the opportunity to own it. Get Your Hands On A Course in Mind Power Now! Plus All The Incredible Bonuses! ...you'll be reaping the rewards for years to come. A Course in Mind Power Now Along With All The Other Items Included! Aaron, I'm ready to begin boosting my psychic abilities and other mind powers immediately! I'm ready for these advanced concepts to be explained in very simple ways that I know I'll easily understand! I can learn the secrets right away. Get A Course in Mind Power right now and read through it. Then decide if it isn't the most straighforward, simple and obviously powerful mind power system that you have ever seen, at ANY price! 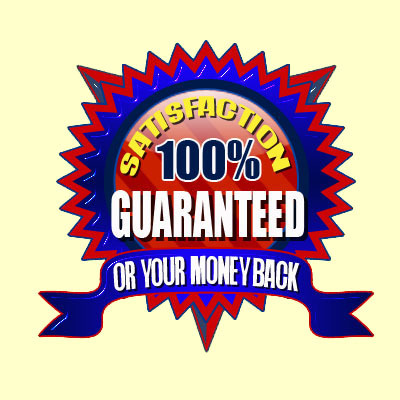 Your package is guaranteed to meet even your highest expectations. *The statements made on our websites have not been evaluated by the FDA (US Food & Drug Administration). This product is not intended to diagnose, cure or prevent any disease. LOOK WHAT OTHERS ARE SAYING ABOUT JUST ONE SINGLE PART OF THIS COURSE THAT I SHARED IN THE PAST!!! Aaron, THANK YOU!!! Your sharing is AMAZING!!! You put incredible insights and information into terms that are accessible! Absolutely LOVE what you bring!!!! Hope you are inclined to share more!!! Awesome POWER!! A friend of mine worked on the project at Stanford. You are creating a great deal of interest.... and ELECTRICITY... ;} Your sharing is very much appreciated! Aaron...you are DELIGHTFUL!!! I am reading to catch up here... and I just keep being amazed by the clarity you are able to bring to the complex.... just LOVE the way you phrase things such as "The simple answer is probably the right one.." and your reference to the 'innate wisdom of children'.... I've always said, "People who really KNOW their field, can put it terms anyone can understand." (at least on some level....) You definitely have proven yourself to be such a one!! Aaron....you are such a GENERATOR OF LOVE!!!!!!! What Gifts you bring!! !  Seneca S.
Hi Aaron, You certainly are causing some electrochemical activity in my head. The bottom line is that I Get It! Please contact me with whatever your needs might be to share this information and take it to the next levels. You have pierced my density and possibly enlightened my destiny. Just keeping up. Guess it's time to intend speed-reading! Thanks again Aaron! Just in case you need a reminder.. YOU ARE AN ANGEL! YOU ARE THE FLASHLIGHT THAT CUTS THROUGH THE FOG! What you are doing here... There are no words to describe how incredible this is...  Namaste  Shane A. Yes, I am intensely interested in what Aaron is presenting. It stirs my analytical mind and soothes my emotional state. It's organized and reasonable like A, B, C. I can't say I understand everything being said, but I think I grok the essence and would be excitedly interested in becoming involved in whatever ways might show themselves.  Karen G.
Thanks so much for posting that Aaron! I was fascinated and riveted by your posts. Hi Aaron, !!!!!!!!!!! !THANK YOU!!!!!!!!!!! ...I've just copied and printed your postings on this page to absorb, reflect & internalize. You are a fascinating person Aaron - That you have not only delved in the mechanical but the spiritual, the energy of our plane. That you have done Kundalini and talk of dipoles, so cool. We are blessed to have you share your knowledge here. I am pretty sure there are many watching and absorbing though perhaps uncomfortable with posting. - With Gratitude, Cass G.
your knowledge needs to hit the net big time. Gosh what you are saying is so miraculous. It reminds me so much of what I learned in the ram school cause we have learned so much quantum physics the thing is I would have to charge my mind to state all that you have said into form and matter because it just hits the spot and I know I have learned all this. This is amazing that you are writing it. You have a brilliant mind!! 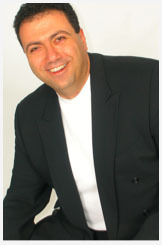   Barbara K.
Hi Aaron, Thank you so much for your posts. I am absolutely thrilled.  Love & Light, Pia T.
A bell went off when Aaron was explaining affirmations a couple posts ago or how he affirms to something that Jesus said: Whatever you ask for in prayer. Believe that you have it already. And it will be yours. Thanks for affirming that Aaron, and thanks for your participation.  Stephen R.
Thank you for getting us all jazzed up!  Steve S.
This thread is about LOA & Synchronicity. It was only through synchronicity that I subconsciously found this site based on a very conscious need for driving directions for my path. I was attracted to the site and want to thank the other users for their posts. You've all provided insights both very much needed and appreciated today. - Samantha T.
I feel as if what I wish to communicate cannot be written. I feel very specific in regards to your posts. I am sure you understand this. You must surely comprehend the extent of this movement. The results and possibly the implications of being part of this are divinely humbling.  Pano S.
Thank you. I've never seen that diagram and greatly appreciate it.  Kate L.
Wow, what a phenomenal experience reading this thread has been! Thank you Aaron for your contribution here.  Steve O. Lessons in Advanced Perception by Harold S. Schroeppel was originally taught at the Institute for Advanced Perception in Illinois back during 1960's. His course consisted of almost sixteen lessons and two extra lessons that if employed would begin enhancing a student's perceptual capabilities. Harold S. Schroeppel in no way discussed the science of or where the principles from the "Effort" exercise came from and by no means gave credit to Edmund Jacobson, M.D. as far as I have been able to come across. Dr. Jacobson could be the creator of modern day strain relieving techniques, which all started with this Progressive Muscle Relaxation (PMR) exercises. Lessons in Advanced Perception was the 1st program to apply Dr. Jacobson's PRM stress relieving strategies for the purposes of specifically increasing intuitive abilities by clearing the tensions out with the muscles to ensure that the subconscious reflex carried to the muscles is clearer. 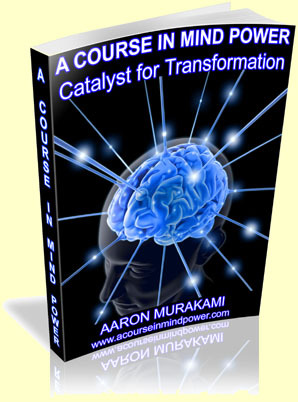 A Course in Mind Power by Aaron Murakami is the only course offered anywhere at fully explores the science, background and implications behind Jacobson's work relating to being utilized specifially for enhancing one's perceptual abilities. This is only one small part of A Course in Mind Power.